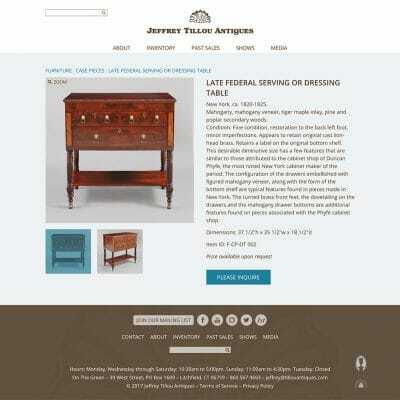 The team at JTA supplied design files for their new WordPress-based site. 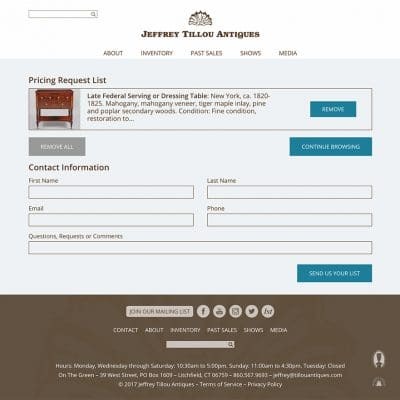 The site has an inquiry list capability that leverages favoriting post types and then emails said list to the team with a custom Gravity Forms integration. 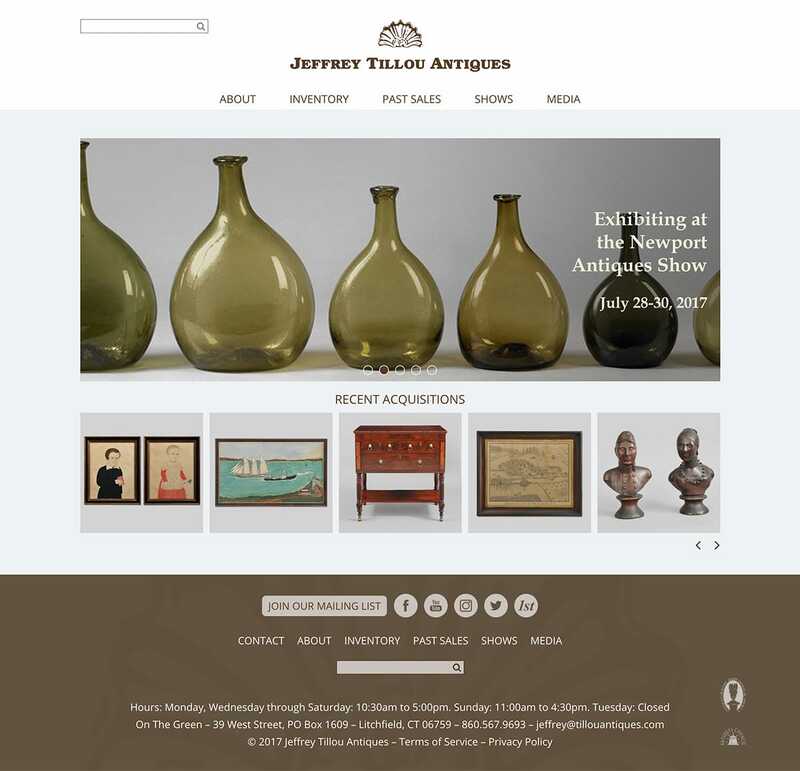 The old Jeffrey Tillou Antiques site was Drupal-based so being able to export the content straight from Drupal to WordPress to avoid manual re-entry of their massive inventory catalog was a must and was able to be executed without issue. The JTA team was a pleasure to work with!